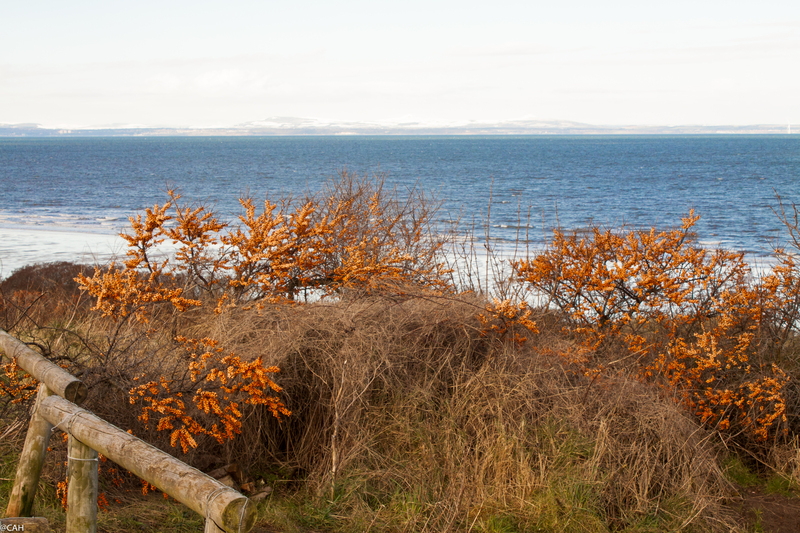 I love walking and beachcombing in all seasons and as the morning was bright and sunny we decided that today’s walk would be on Gullane Bents in East Lothian. 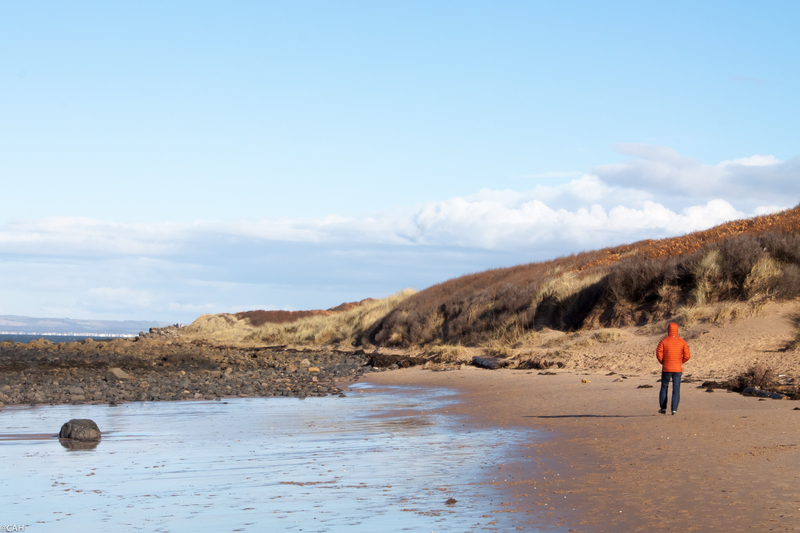 Several people and dogs were enjoying a morning on the beach. Ships were heading out to sea and we could see snow on the hills of Fife to the north. 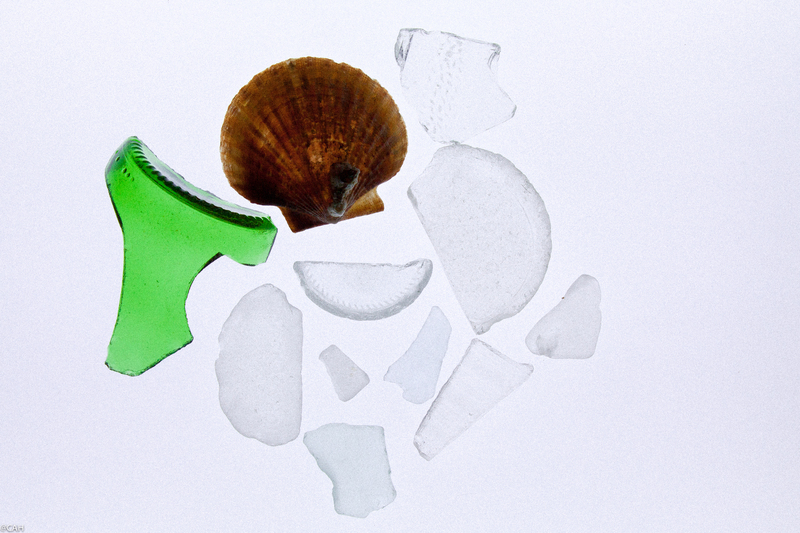 I was wearing my fingerless gloves so that I could operate my camera but they got pretty cold very quickly but I did find some pieces of sea glass to add to my collection and one small scallop shell with barnacles on it. After the walk, we warmed up in a coffee shop and then investigated the ruined church opposite, St Andrew’s Old Kirk. It was built in 1170 on the site of an earlier Norman church but was abandoned in 1612 as it kept getting buried in sand blown from the beach. 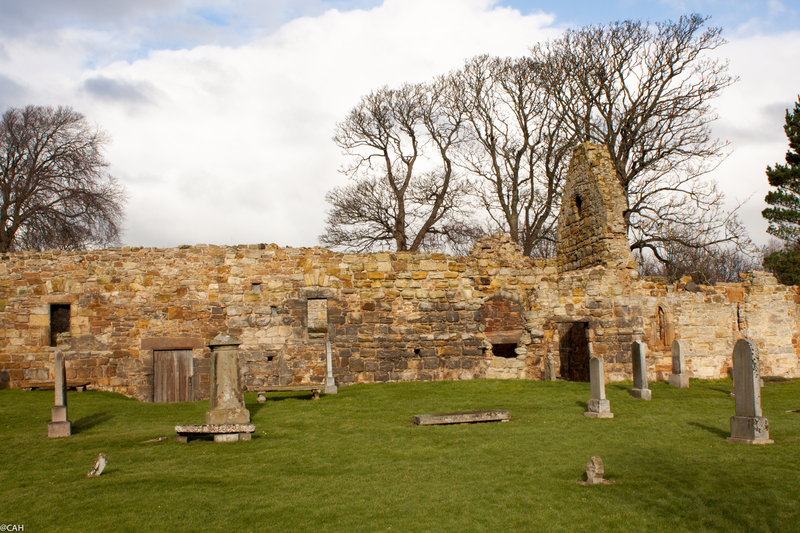 The congregation moved to Dirleton and much later, other churches were built in Gullane and are still there today. We had planned to head south over a B road that passes over the Lammermuir Hills and past the Whiteadder Reservoir before descending into the borders. I could see a lot of snow on the hills and have previously taken some good shots up there so was very optimistic as the weather had stayed dry. Unfortunately the road was closed and had a fairly permanent closed sign so we had to turn round. 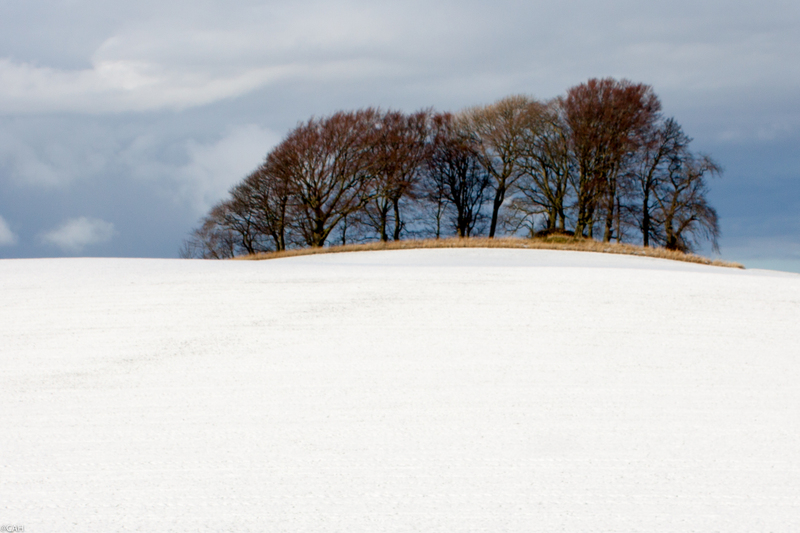 The alternative route was to cross over to the A68 and then to the A7 via Soutra and were were rewarded by some snow. 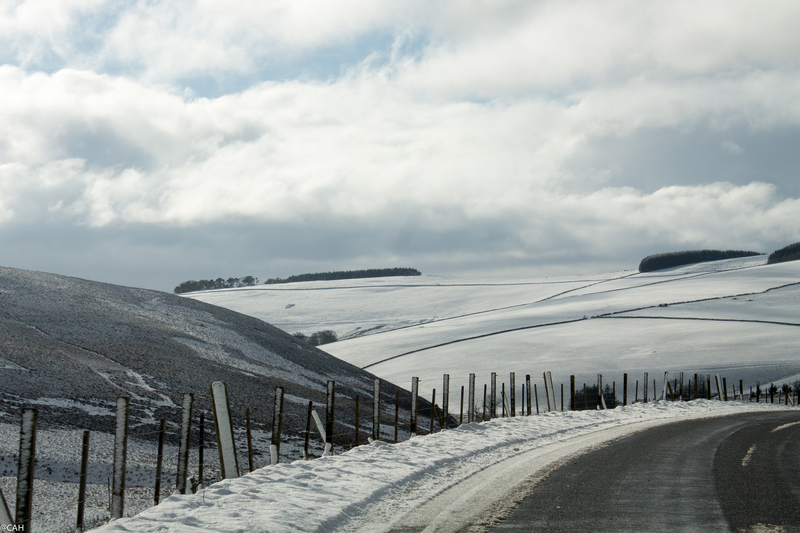 We had a flurry of snow over the Teviots but south of the border the sun came out again and it was an uneventful drive home. You inspire me to get out of my rut and start exploring new places….I’m not quite there yet, but I will be! The promise of a coffee shop is always a major incentive.